Custom grade Reclaimed Mixed Softwood flooring with Modern farmhouse White Oak along the stairs. Custom grade Reclaimed Mixed Softwood flooring. 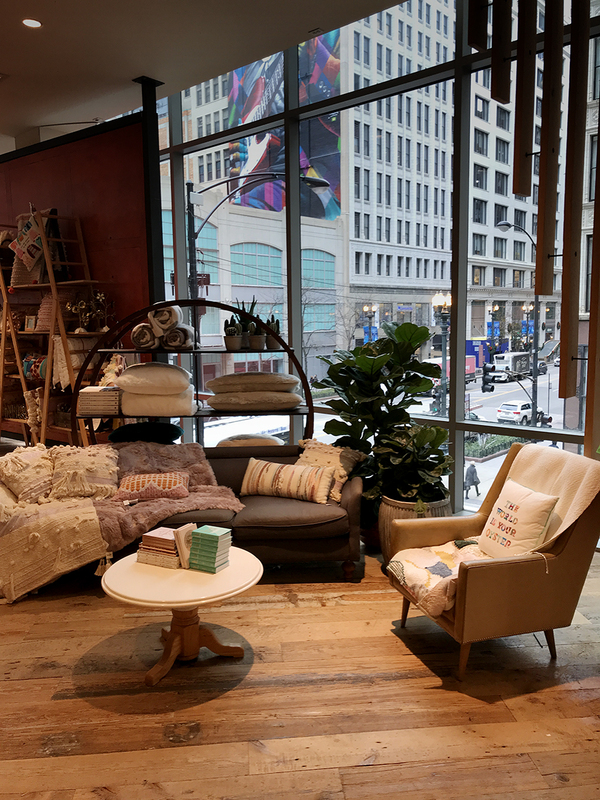 An assortment of our reclaimed wood has found new life in Anthropologie locations sprinkled in cities across the nation. 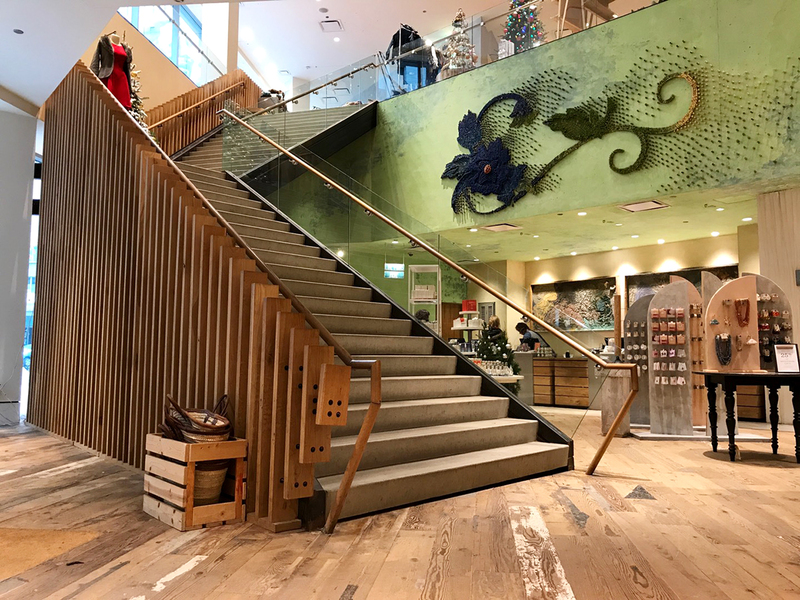 In Chicago, Illinois the store incorporates a custom grade of reclaimed mixed softwoods flooring as well as Modern Farmhouse Clean White Oak along the stairs.